Leben und Altern als produktiver Antagonismus. Altern und älter werden sind Prozesse, die nicht einfach auf die Chronologie in Jahren reduziert werden können, sie sind geprägt von den sich dauernd verändernden Lebensumständen eines jeden Menschen. Similar to the issue of health that can both be literal and metaphorical, personal and public, human and environmental, age and aging are concepts that are understood according to time, circumstances and disciplinary approach. In this volume, we are asking for papers that investigate the topic of health within the matrix of time and experience. This cultural ambiguity of aging enables an analysis of social functions of images as a basis for interdisciplinary exchange. What role that does the notion of health play in this interaction? How does our understanding of health influence our notion of agency within a subversive deconstruction of normative age concepts? 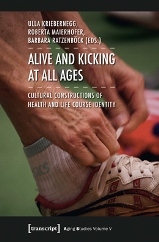 How can negative images of old age as physical decrepitude and disease be deconstructed? Depictions of appreciation of life even in the oldest age as form of "successful frailty". When Toula's father in »My Big Fat Greek Wedding« says to his daughter (age 30) »you look so old« or when Don DeLillo's protagonist (age 28) »feels old« in »Cosmopolis«, these young characters are attributed an age awareness that has received little attention in age studies so far. Leaving aside chronological or biological dimensions of age, this study approaches age as a metaphoric practice, suggesting that »feeling old« is not to be taken literally but metaphorically. 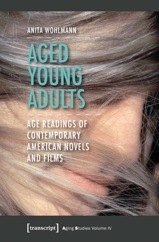 The book examines the cultural meanings of age and aging and challenges often-quoted labels such as late-coming-of-age story or perpetual adolescence. 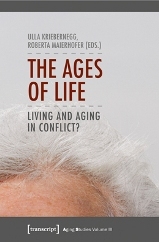 Band 3: “The Ages of Life”: Living and Aging in Conflict? Die vermeintliche Binarität von "jung" und "alt", die auf einem biogerontologischen Defizitmodell des Alterns als körperlicher Verfall basiert, lässt sich aus kulturwissenschaftlicher Perspektive in eine Ambiguität des Alterns umdeuten. Diese kulturell definierte Ambiguität ermöglicht es, positive und negative Altersbilder in ihrer gesellschaftlichen Bedeutung zu analysieren und damit einen Ausgangspunkt für einen Dialog unterschiedlicher Disziplinen des Wissens über das menschliche Altern anzubieten. Der vorliegende Band versteht somit das Verhältnis von Leben und Altern als einen produktiven Widerspruch oder eine Ambiguität, die das Wechselspiel von Kontinuität und Veränderung als identitätsstiftendes Merkmal im Lebenslauf fokussiert. Alter und Altern sind kontinuierliche, kreative Prozesse, die nicht starr an die Chronologie der Jahre gebunden sind, sondern eine Auseinandersetzung des Individuums mit sich verändernden Lebensumständen darstellen. Somit bietet Altern die Möglichkeit für emanzipatorische Gegennormen und Subversion. In aging studies, age, like other salient markers of identity, is defined not in terms of being but of doing. One adjusts automatically to the implicit norms of age-appropriate behavior that structure everyday life. In Western culture, these norms install a hierarchical dichotomy between the young and the old - the latter still getting the worst of it. 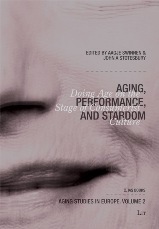 This second volume in the Aging Studies series focuses on questions concerning the ways in which actors and socialites perform aging on the stage of consumerist culture. How do celebrities, whose star personae are ultimately connected with the prime of their lives, cope with the aging process? Which public practices invite subtle adjustment of age scripts that focus on the decline of physical strength and attractiveness as the years pass? The prospect of increasing longevity has turned aging and old age into a topic of concern in Western societies. The discourse of age and the proliferation of narrative in contemporary media culture both transgress disciplinary boundaries. 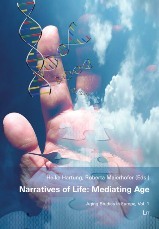 Addressing the "narratives of life" from different disciplinary angles this volume aims to explore the scope of a narrative gerontology. Aging and the stories that are told about it or from within are transnational and transcultural phenomena. While aging is thus a universal process, attention is also drawn to the categories of difference. Please contact me via email. Thank you!